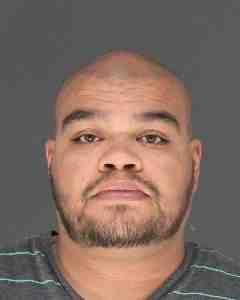 On Thursday June 8, 2017 The Clarkstown Detective Bureau arrested Luis Baez, 33, of New City, NY at police headquarters, bringing to a close a three month investigation stemming from four separate robbery cases in the New City area. Baez is accused of committing three armed robberies and one attempted robbery of two separate 24-hour gas stations in New City, wearing similar clothing in each robbery. March 20, 2017 at 2 a.m. – Sunoco 128 N. Main St. New City- Baez allegedly entered the location, brandished a knife and demanded money. Proceeds were over $3,000. March 28, 2017 at 4:15 a.m. – Sunoco 128 N. Main St. New City- Baez allegedly entered the location, brandished a knife and demanded money. Proceeds were over $850. April 10, 2017 at 1:10 a.m. – Sunoco 128 N. Main St. New City- Baez allegedly attempted to enter the location, but the employee was able to lock the front door. April 13, 2017 at 4:15 a.m. – Shell Mart 320 S. Little Tor Rd. New City- Baez allegedly entered the location, brandished a black firearm and demanded money. Proceeds were over $500. As this investigation was ongoing, the detective bureau was able to identify Luis Baez as the suspect in another case that occurred on November 28, 2016 at 9 a.m. at the Palisades Center Mall. Baez is alleged to have broken into a delivery van at the location, removing a gym bag that contained over $9,000 in cash. Baez was charged with robbery 1st (felony), grand larceny 3rd (felony), criminal possession of stolen property 3rd (felony), robbery 3rd (felony), criminal mischief (misdemeanor) and criminal possession of a weapon 4th (misdemeanor). Baez was arraigned in Clarkstown Justice Court. Bail was set at $100,000 and he was transported to Rockland County Jail.